Budget 2018: The budget outlined by Finance Minister Arun Jaitley doubled existing customs duties on imported lighters, perfumes, make-up, wrist watches, sunglasses, toys and gaming consoles. Budget 2018: The tax rate hike is set to push up prices of premium smartphones such as iPhones. Mumbai: The government outlined a farmer-friendly budget on Thursday, but for the country's burgeoning middle class, who aspire to own luxury goods ranging from Ray-Bans to iPhones, and Zippos to Fitbits - imported goods are set to get a whole lot costlier. The budget outlined by Finance Minister Arun Jaitley doubled existing customs duties on imported lighters, perfumes, make-up, wrist watches, sunglasses, toys and gaming consoles. It has also significantly raised duties on imported footwear, imitation jewellery, along with mobile phones, television screens, vehicles and components used in them. In the short-term at least, the move could potentially affect Indian demand for products from Apple, Fitbit, Zippo, Mattel and beauty products maker Coty, which sells luxury fragrances and cosmetics from brands including Burberry, Calvin Klein and Gucci. Mr Jaitley, announcing the changes, said these sectors had enough room for local value addition and the decision would boost job growth in India. The budget proposals will also shore up Prime Minister Narendra Modi's flagship 'Make in India' initiative. When PM Modi came to power in 2014, he promised to turn India into a manufacturing powerhouse like neighbouring China and to create jobs for millions of Indians joining the workforce every month. For the auto industry, which is already battling a hike in tax rates on luxury cars and sports utility vehicles as part of the new nationwide goods and services tax, the import duty hikes will have a further negative impact. Rahil Ansari, head of Audi India dubbed the budget "disappointing" and said luxury carmakers had been counting on more support from the government. Mr Ansari said the customs duty hikes would impact the company's ability to plan its short and long-term strategy. "The biggest impact of the increases would be on premium auto manufacturers especially for buses and trucks," said Sandeep Chilana, partner of law firm Shardul Amrchand Mangaldas. 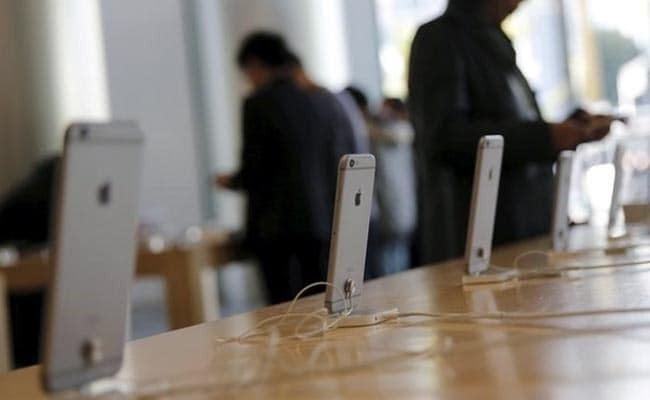 The tax rate hike is also set to push up prices of premium smartphones such as Apple's iPhones. "Prices of Apple's devices could rise and will likely push them to expand assembly in India but Apple's brand value gives them the bandwidth to push higher prices to customers," said Neil Shah of tech research firm Counterpoint. Mr Shah said the move would also hurt cheap Indian smartphone makers like Micromax, which have cut down on local manufacturing and rely more on import of low-cost phones from China. The new tax rates were, however, welcomed by some smartphone makers and local tyre manufacturers like Apollo and JK Tyre. Onkar Kanwar, chairman of Apollo, said the move would boost its commercial vehicle tyre sales.